First, can I just say how much I love Moscow Mule glasses?! 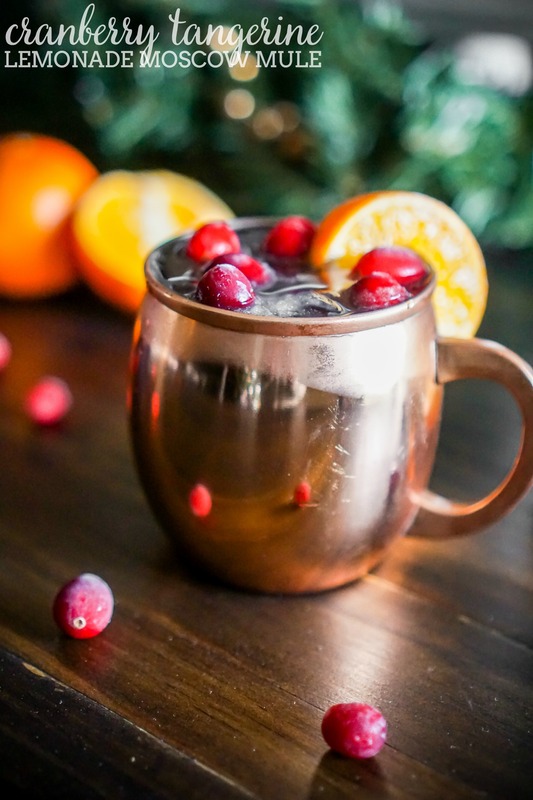 It might have been one of the reasons I decided to make this Cranberry Tangerine Lemonade Moscow Mule, because I want a tasty cocktail recipe that gives me the perfect excuse to break out my adorable Moscow Mule glasses! 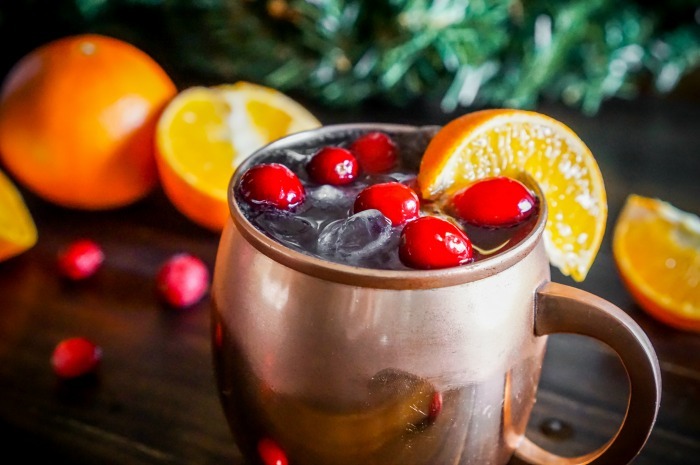 The other reason is because I love cranberry and citrus flavors together, which makes this cocktail both festive and delicious for the upcoming holiday season. As with almost all my recipes, this cocktail recipe is easy to toss together. We don’t have any fancy holiday parties at our place, but we do have our friends over, a lot! With the baby at home now too, hosting our friends for football Sundays, game nights, casual dinners in, and so forth is a lot easier than trying to arrange plans for going out. Easy and casual doesn’t mean it should be any less fun though. We believe in making all moments matter here at The Love Nerds, and nights with friends deserve a little extra something! 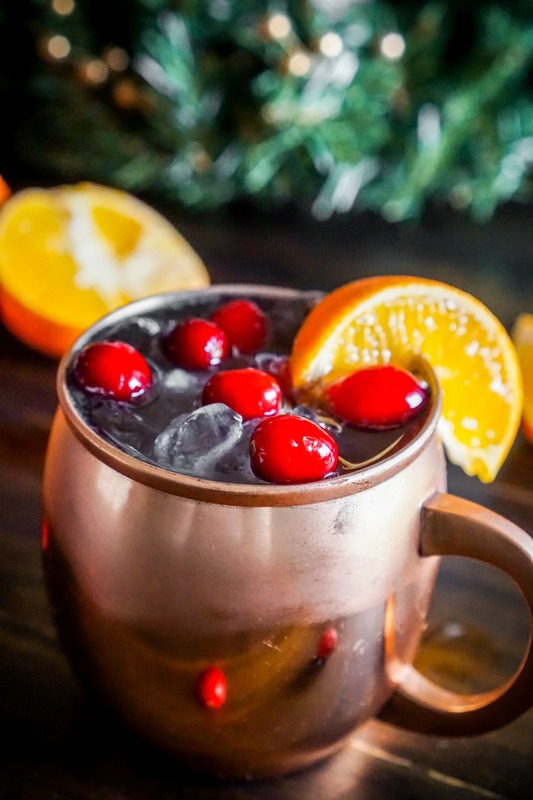 Cranberry and citrus flavors pair incredibly well together, which is why this Cranberry Tangerine Lemonade Moscow Mule is a great combination. Not too sweet. Not too tart. It’s enjoyable to sip on while hanging out with friends. 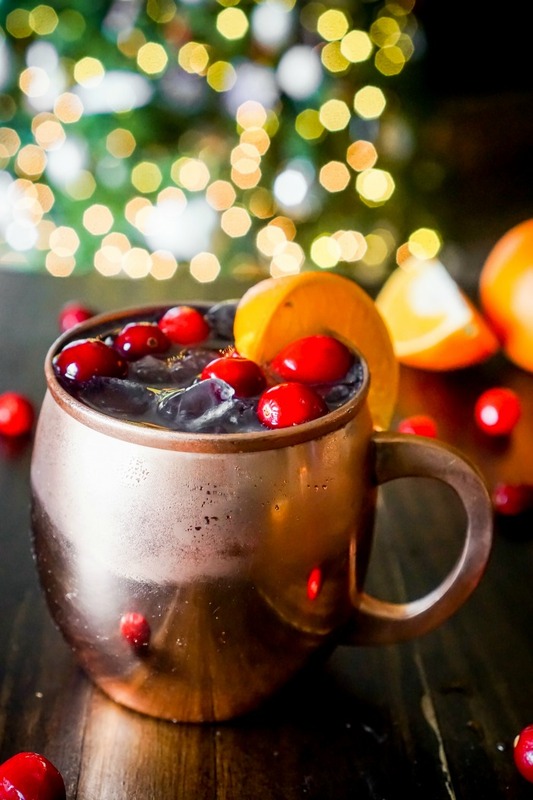 Plus, cranberries are just perfect for the upcoming holiday season (though I would definitely enjoy this Moscow Mule all year long). 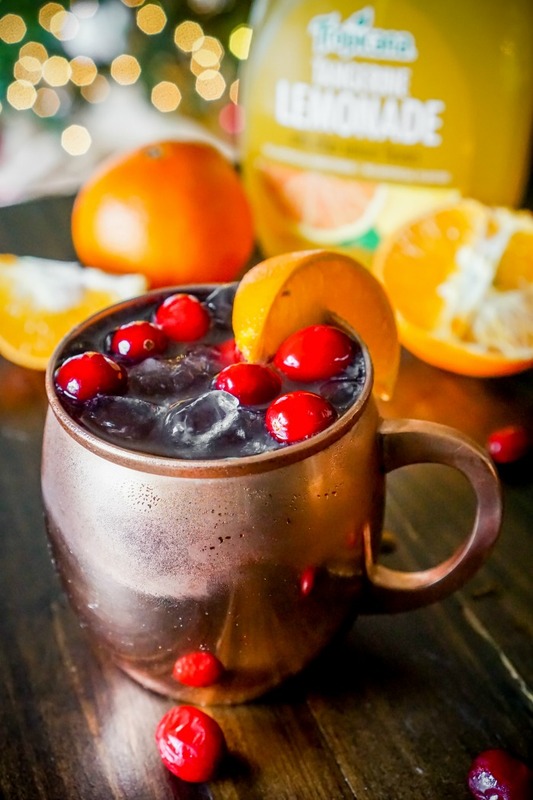 I used Tropicana® Tangerine Lemonade as the base for this Moscow Mule recipe in addition to ginger beer, cranberry juice, and a little bit of vodka. 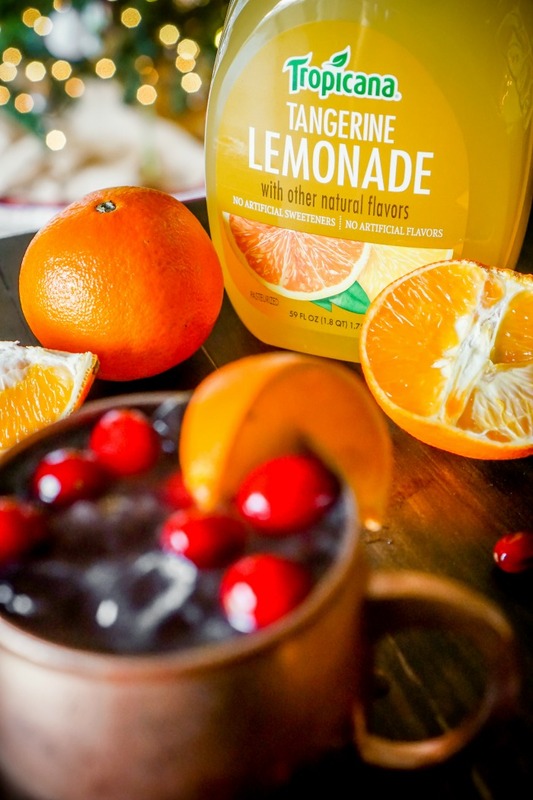 Tropicana Premium Drinks, like the Tangerine Lemonade, are perfect for mixing drinks at home. They have no artificial sweeteners or flavors. The best part? They are fabulous to drink on their own, so there will be no unwanted leftovers the next day. Not a big cocktail drinker? Mix up this same recipe without the vodka, and you can have a mocktail the whole family can enjoy. I was a huge fan of non-alcoholic Moscow Mules during my pregnancy. It was actually my go-to choice when we were out for dinner and I wanted to feel special. Plus, you can’t go wrong when Tropicana® Tangerine Lemonade is involved!